On this project we work together with second hand stores Het Goed and The Beurs, and a waste processor called Twente Milieu. 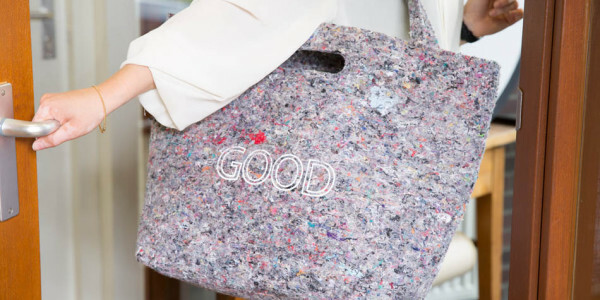 Clothing that is sellable, will be sold there to costumers, clothing and for example curtains/household textiles that can not be sold, are being recycled at Frankenhuis, the industrial textile recycling company. At this moment ⅔ of the post consumer textile waste in The Netherlands is still thrown away by garbage, which is mostly being incinerated. By creating awareness and increasing the number of underground textile containers, we are hoping to collect extra ⅓ out of the ⅔ post consumer textile waste within a period of 5 years. By increasing the amount of collectable textiles, and thereby creating huge environmental savings (for example one kg cotton, costs between 8000 and 14.000 liters of water), we can get to see “waste” as a new raw material. Besides the environmental savings, extra labor is created in SROI (Social Return Of Investment). For every 40 tons extra collected, one full time job is created. Not only does Texperium have an advising task, we also develop new products out of the textile materials, that are not sellable. 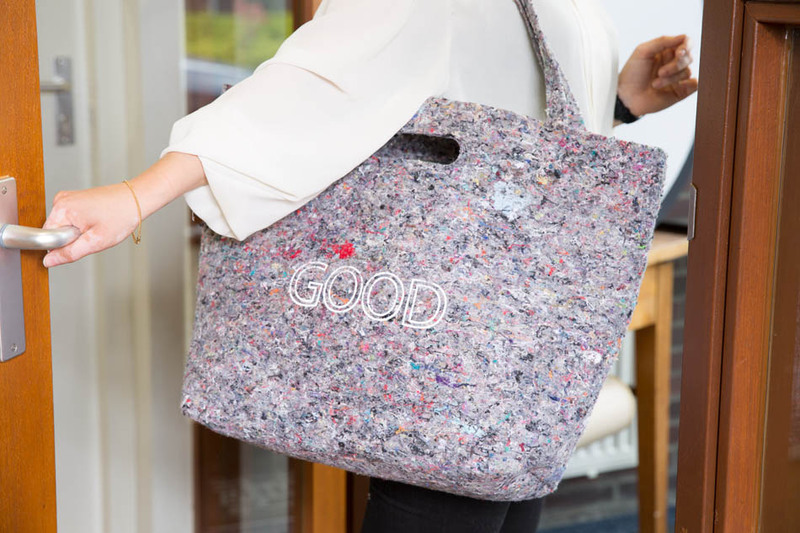 A good example is the “GOOD” bag, which is sold for € 9,99 at De Beurs and Het Goed.